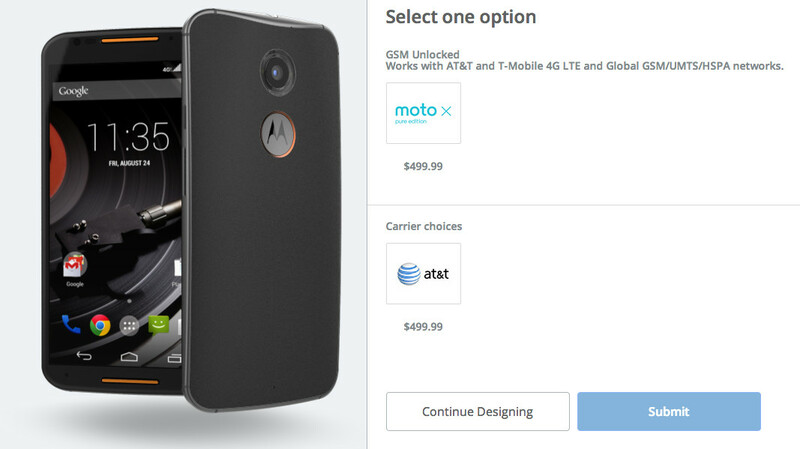 We just placed our order for the Moto X “Pure Edition” and wanted to make sure one thing was clear – it does indeed work on both AT&T and T-Mobile 4G LTE networks. The device ships “unlocked,” which means you can take it to either carrier without interference, you will simply need a SIM card and service from one or the other. Also, be aware that the “Pure Edition” arrives without carrier bloatware, does not have carrier branding, has an unlockable bootloader (for the tinkerers in the building), and will receive updates before any other Moto X (2nd gen) variant because it’s not tied to a carrier and Motorola can do with it as they please. If you plan to buy a new Moto X at full retail, this is the one to get (unless you are with Verizon, then you are out of luck). You can customize it with Moto Maker as well, in case you were wondering.